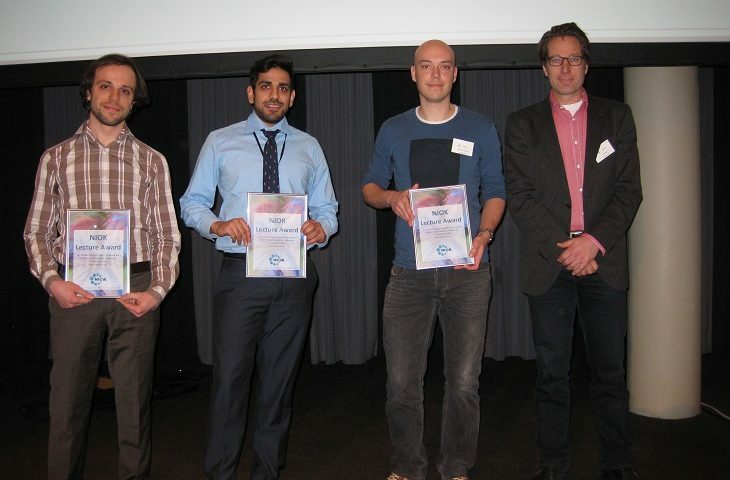 Sam Kalirai won one of three NIOK lecture awards for best PhD presentation at the 17th Netherlands Catalysis and Chemistry Conference (NCCC) in Noordwijkerhout, with his talk entitled “FCC Deactivation at Single Zeolite Domain Scale: Correlative X-ray Microscopy”, co-authors: J. Wang, P.P. Paalanen, G. Mesu, F. Meirer and B.M. Weckhuysen. The presentation award consists of a plaque and a prize of €500. 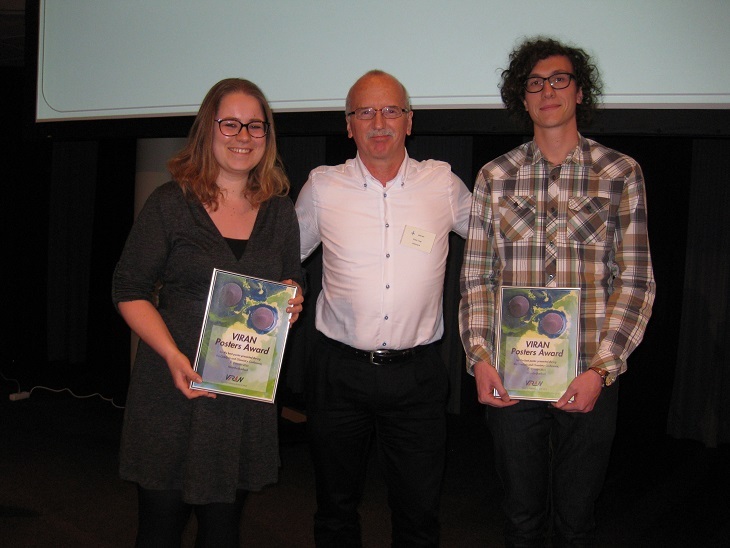 In addition, Marjolein Velthoen won the VIRAN award for the best poster presented during the Conference. Her poster was entitled “UV-Vis/DFT Study of the Activation of Zirconocene Species in Zr/MAO/SiO2 Polymerization Catalysts”, co-authors: J.M. Boereboom, A. Bouhmadi, M. Cecius, S. Diefenbach, F. Meirer and B.M.Weckhuysen. The poster award consists of a plaque and € 500. Marjolein Velthoen with the award for her poster.